The ultimate goal for every business, brand, and site owner is to rank at the top of Google for their most valuable keywords and search phrases. However, with over a billion active sites on the internet today and free organic search listings on Google diminishing year after year, this process is just getting harder and harder. Truth be told, if your site isn’t ranking at the top of Google, you might as well not be ranking at all. 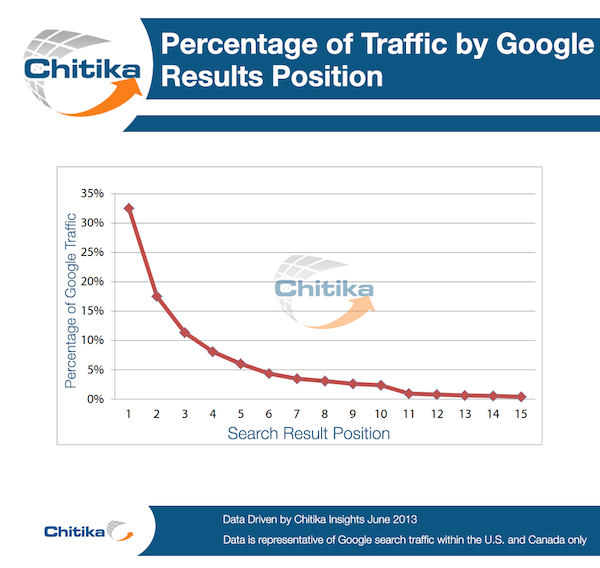 According to a study from Chitika and reported by Search Engine Watch, the number one spot on Google is getting most of the clicks — 33% to be exact. Through the chart below you will see how quickly the numbers fall as you move out into the 2nd, 3rd and 4th positions. Anything after the 5th position will likely see less than a 5% click through rate. The report also went into detail on how important it is to rank not only at the top of Google but also on the first page. 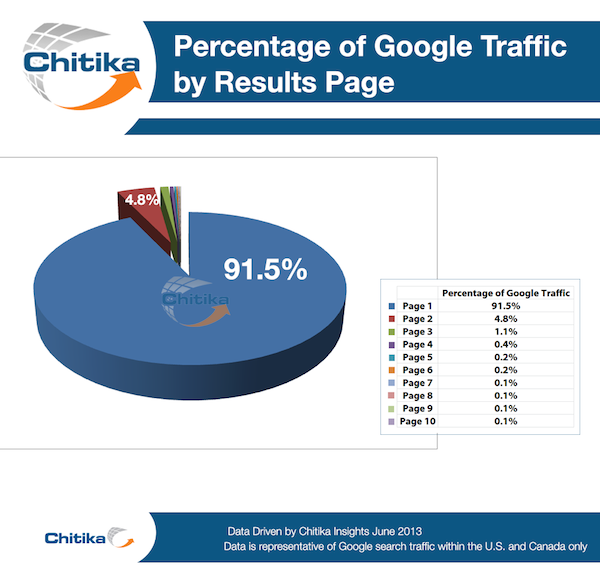 Through the chart below you will see that 91.5% of all traffic comes from Page 1 listings. Unless your site is ranking on Page 2, there is really no worry to track your performance — as no one is going to be clicking on your listings. However, not all is lost! The good news is that SEO is a game that everyone gets to play and there is definitely enough traffic to go around. Even if your site is ranking on page 2-10 on Google, you are still ahead of millions of other sites. Now it’s just a matter of finding what keywords you currently rank for and improving their rankings within Google. In more good news, there are actually plenty of ways to accomplish this — all of which we will be covering in this SEO guide today. To get the most out of your site content and backlinks, be sure to run through each of the actionable tips below. If you are already working on some of these methods, be sure to focus some effort in the areas you currently aren’t. To see the maximum results and highest rankings possible, all of these methods should be used at all times. You likely already have a lot of content ranking in the search results, however, this content might not be optimized to its full potential. Google really loves to see sites with 1,000+ words of content in each article, while also having images, video, and social sharing additions as well. The more of this you have in place, the higher you will likely rank. Take some time to go through your existing content and see where you can improve upon what you currently have in place. This is especially important if your content is already ranking within the first 10 pages of Google and only has around 500 words of content. By just adding more content and data-rich information to existing articles, you can quickly see your site jump up a few positions (or even pages) in the search results. Another great way to see improvement with your existing content is to simply point more internal backlinks through other existing content on your site. A good example of this would be if you had a site all about online marketing. 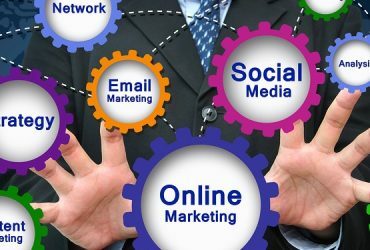 If you had a huge resource about how to gain exposure through social media, you could then link back to that resource every time you mention “social media” in another article. The more you link back to that original resource, the more link juice that would be passed through to it. Using such methods can also help Google find your best content and list them as sub-sections within your Google listings. Try this method out with various articles on your site, while also monitoring your search rankings in the process. On-site SEO optimization methods like adding more content to your existing articles and increasing internal backlinks work great, but what is really going to make a big difference is authority backlinks coming to your site. Google puts a lot of weight on incoming links to a site, and the more authoritative they are, the more it will help with your search rankings. In addition to the size and quality of the sites that is linking back to yours, the relevance and niche are nearly just as important. 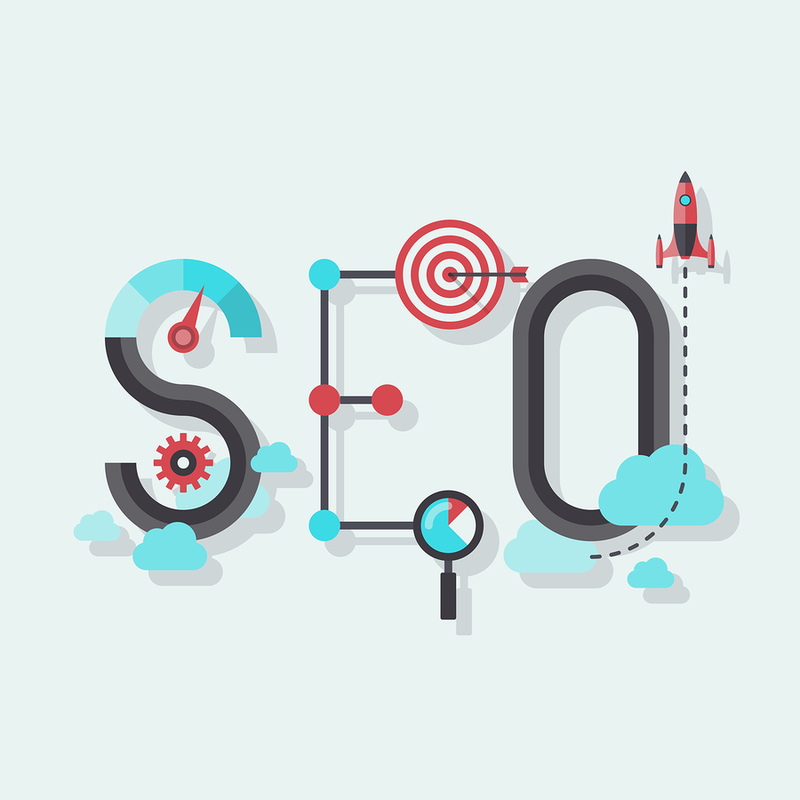 What this means is that you want to gain high-quality backlinks to your site, but only from authority sites that are relevant to what you are talking about. For example, if you had a site on “bikes”, you wouldn’t really want “finance” or “marketing” sites linking back to you. The exception is when you get major media backlinks or mentions from sites like Entreprener, Inc., Forbes or HuffingtonPost — those links are always worth gold and will help immensely for search rankings. The same holds true for social media as well — all social shares and backlinks from big sites like Twitter, LinkedIn, Facebook and Google+ are helpful for SEO. One of the most effective ways to keep your site content ranking in the search results is to create content that is easily shareable and provides value. A good example of this would be an infographic. In addition to posting the infographic to your site, you should also include a 1,000+ article to go along with it (this will help with indexing), an embed code section for other site owners to post it on their sites and also social sharing buttons that are easy for your readers to click and find. 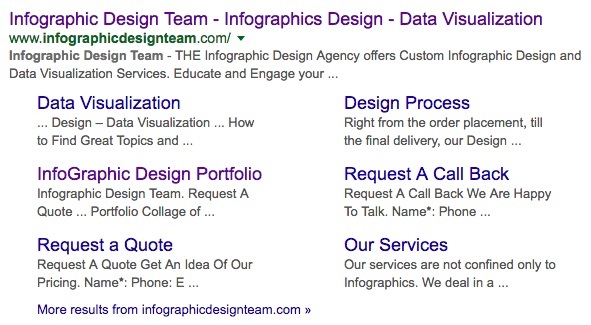 The reason why infographics work extremely well as content and for link building / SEO purposes is that everyone prefers visuals over text. 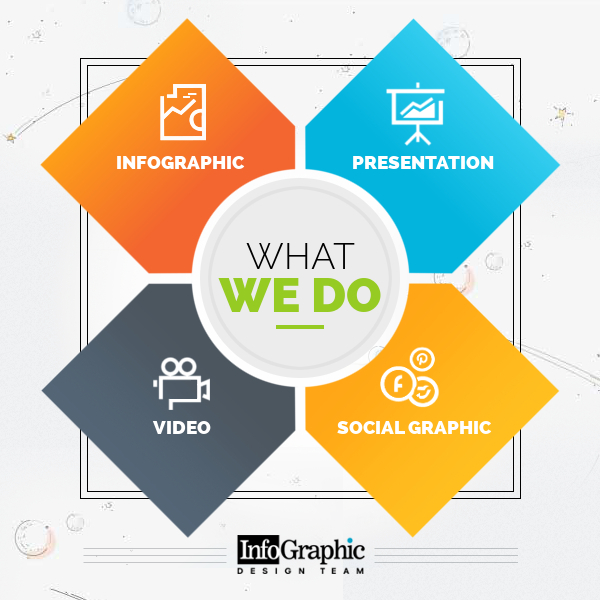 Audiences love to share infographics with their friends and followers on social media, while brands and business also like to share infographics on their sites as it provides their audience with value as well. 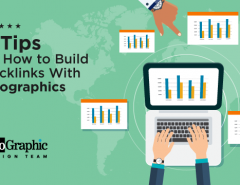 Be sure to check out this 8-Point Checklist for how to design a successful infographic. 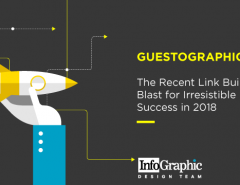 No matter what method of content you are creating or the type of industry you are in, the most important thing you can do for your site is outreach and promotion. 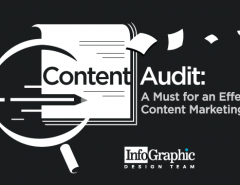 As we’ve continually mentioned throughout this article, with over a billion sites online, it all comes down to the quality of content and backlinks you are getting to your site. Without the exposure and backlinks from other sites, you will simply be left with content that no one is going to find. Reach out to other relevant sites within your space and see if they are open to accepting guest blog posts, sharing your infographics or even doing an interview. Most won’t respond or say yes, but the ones that do will provide huge support to your site and helping it rank higher in the search results. Now that you’ve had the opportunity to read through our five ranking actionable tips, you can start implementing them into your site and outreach right away. If you already have content in place, the first thing you should do is review it and see how it can be improved upon. After that, you will want to focus on your outreach and promotion once again. 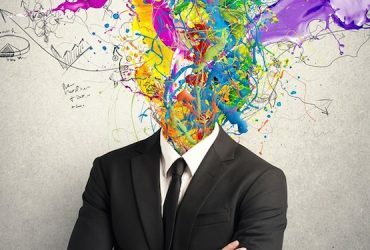 Remember, no matter how great you think your site and content might be, the promotion of the content is something you will always need to focus on. We highly recommend every website and brand have at least one infographic that they can share with their audiences and promote on other sites. 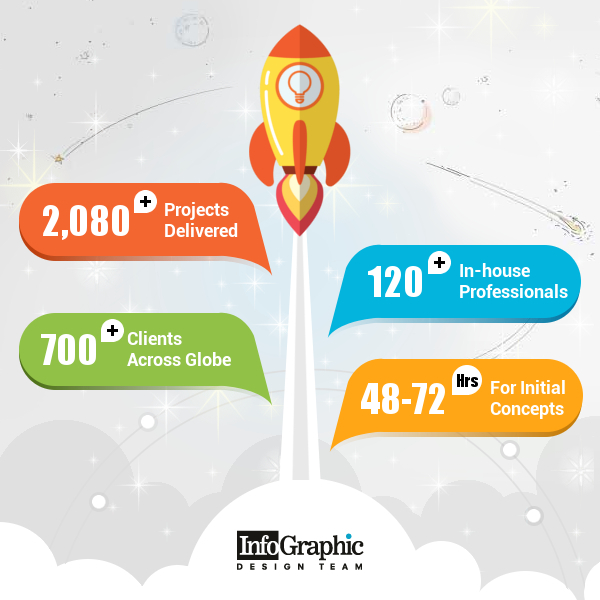 If you don’t currently have one, click here to contact our design team and we will provide you with an amazing infographic that well represents your brand and business.